hmm.. that would be very nice... but how it works? Does anyone have the answer to this? I Would also like to be able to boot AeroStudio from USB stick. title Local Hard Disk Boot\n Use the boot loader on your hard disk. title Poprzednie Menu &#40;menu.lst&#41;\n Uruchamia Glowne Boot Menu. 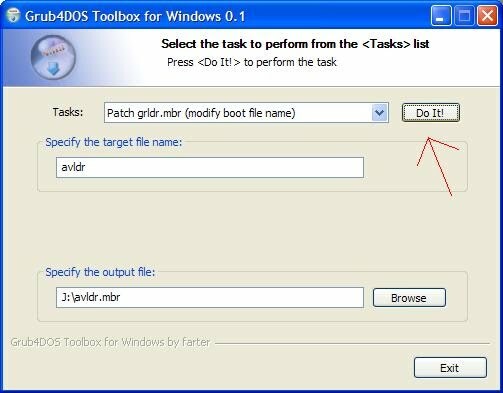 title GRUB4DOS Graphical Boot Menu &#40;gfxmenu.lst&#41;\n Uruchamia Graphical Boot Menu. title Wiersz Polecenia\n Uruchamia Wiersz Polecenia. title Restart Komputera\n Uruchamia ponownie Komputer. title Zamnkij Komputer\n Zamyka Komputer. Thank you very much for replying. I'll try this out tomorrow. I downloaded the zip. I must say it contains a lot of files. How did you build this? Because when I look in a AeroStudio generated iso it contains much lesser files. Is it still easy to update the AeroStudio files from your 7z if in a while AeroStudio itself gets updated? Just asking, is this the preffered way to do it? Or is it maybe better to somehow put a AeroStudio iso on the usb stick and boot that someway from grub4dos? from ireneuszp tutorial you dont need all the files. Can some one explain to me please how to boot from my usb key using the new menu i already generated in .iso format using aerostudio. I have the iso file and it work fine but I would like to use the "system" from my 16Go usb key ? I tested many tutorials but no way to make it work !! But who could explain more Groob4Dos Toolbox work, regarding patch grldr.mbr. I thought that editing the embedded menu.lst is easy enough. 3 - Click (Başlat) button! I have downloaded BlueLife's "Make USB Bootable" and IrenuszP "Airboot". After that I have followed BlueLife instructions, have used IreneszP's folder Airboot as example, have made my Airmenu. Now I have Airmenu as OS selector without any intermediate Grub4DOS menu. Is my Firefox version missing some plug-in >"< ? Edited by Obelisk, 27 March 2012 - 09:39 AM.